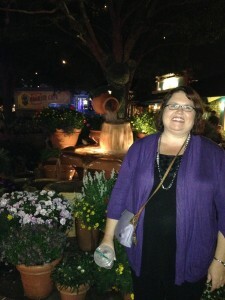 Downtown Disney to shop or stroll the many shops. If nothing else, it is a great place to stop for dinner or for a nice Starbucks Teavana iced tea, my new favorite. Last Friday, June 6th, was the opening day of the new Marketplace Coop and of course I had to go there. There are six smaller shops inside this huge store including my favorite, the Vera Bradley store. This Vera store is unique, carrying special exclusive Disney designs like Mickey’s Perfect Petals, Midnight with Mickey, Just Mousing Around and Bouncing Bouquet. 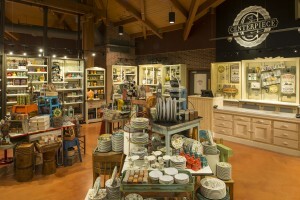 In addition to the Vera store, there is a housewares store with Mickey dishes, pillows, glasses, signs and kitchenware. You can also find a quaint little girl’s clothing store and a store where you can customize your iPod or smartphone case. are exclusive to the Marketplace Coop store. No trip to the Orlando area is complete without a stop at Downtown Disney, Annual Disney passholders are also eligible for a 10% discount at most Disney stores and many of the restaurants. World of Disney is also a great store to shop if you are looking for some unique clothing for mens, womens, kids, jewelry, housewares are more. You can even find coffee mugs, tea and other sugary sweets. I am Lynette Henk, XO healthy chocolate consultant. I share the health benefits of dark cold pressed chocolate for my career. Please visit my website atColdPressedChocolate.com or call me at 941-216-5727 if you have any questions. Preferred customers receive free shipping, discounted pricing and free product every third month for the first year when you continue to order monthly. You can cancel or make changes at any time, but as long as you order monthly that first year, the company sends you free product. How awesome is that! PreviousLooking To Increase Business Sales With Social Media For Your Home Based Business? Consider Your own Youtube Video! NextHave You Been On The New Seven Dwarfs Mine Train Roller Coaster Ride in Walt Disney World, Orlando Florida?